The cost of each BEER CLASS is $10 (to cover the cost of materials and glasses)- no beer samples can be given. The cost of the class is payable the day of the class. Each class lasts approximately 2 hours. Call 800-695-9870 to make a reservation. Reservations are required. Seating is limited and done on a first come first serve basis. 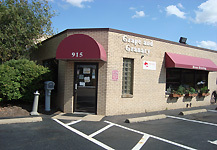 Classes are typically scheduled from October thru April. 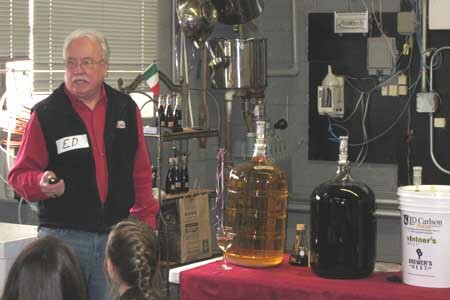 * In the Beginning Winemaking Class, we will discuss the winemaking process, wine styles, testing and adjusting the must and equipment needed for home winemaking. The winemaking process as it relates to a wine kit will be stressed. A wine tasting will be conducted. Artisan Breads and Italian Cheeses will be provided. 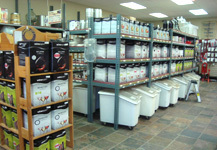 Topics such as racking, topping, sulfiting and sanitizing will be covered in-depth and a wine kit will be made. All majors steps will be demonstrated. * In the Advanced Winemaking Class, we will discuss all of the processes related to making wine from fresh grapes and fruit. The focus will be on making wine from Vinifera grapes. We will cover everything from crushing, destemming, testing, cold soaking, fermenting, pressing, malo-lactic fermentation, bulk aging, barrel aging cold stabilizing and bottling. A wine tasting will be conducted. 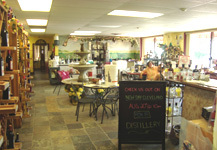 Artisan Breads and Italian Cheeses will be provided. Reservations are required. 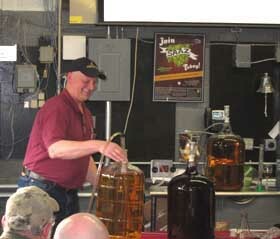 *In the Beginner/Intermediate Beer brewing class, we will discuss the flavor and aroma of various malts and hops. In-depth information will be provided regarding yeast and yeast culturing. 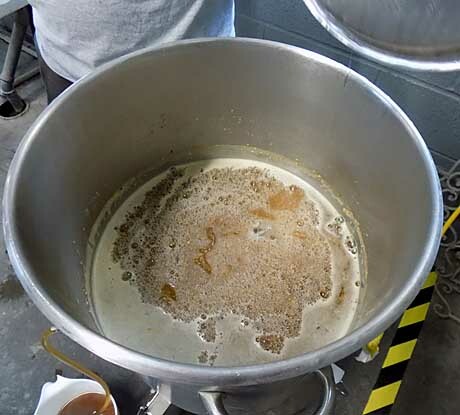 We will demonstrate the intermediate beer brewing process and stress sanitation, yeast and water quality and recipe formulation. We will also discuss the use of the hydrometer and the beer judge certification program. No beer samples will be given due to current Ohio liquor laws. * Learn to brew like the Pro's! 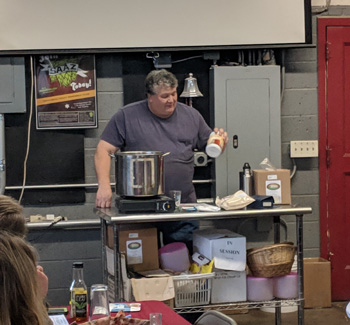 In the All-Grain Brewing class, we will cover such topics as creating a mash, mashing, sparging, boiling and hopping an all-grain wort. 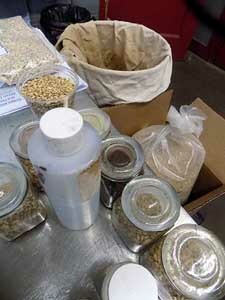 We will demonstrate the all-grain brewing method (mash-in, protein rest, sacrification rest, mash-out and sparge). 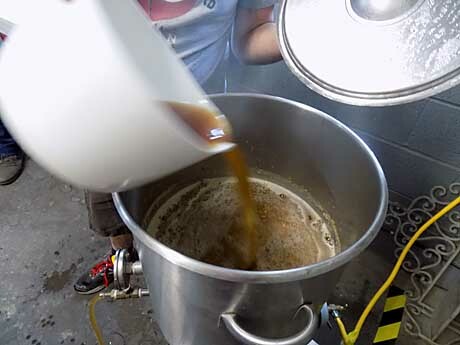 We will discuss the 'Brew-in-a bag' method and alternative forms of sparging. No beer samples will be given due to current Ohio liquor laws. Cost is $10. * We will demonstrate making Mozzarella cheese using the 30 minute easy Mozzarella process. There will be no cost for this demonstration.